Grupo Vidanta is very fortunate to have experienced incredible growth and success throughout its history. Because of this success, we’ve been able to build communities and support thousands of families through a variety of foundations and non-profit organizations, outreach programs, and social initiatives. Started in 2005 by Vidanta Founder, Daniel Chavez Moran, the Fundación Vidanta (Vidanta Foundation) helps promote the social sciences and culture in Latin America, spreads humanitarian and democratic values and civic culture, and supports initiatives and practices that help reduce poverty and inequality in Latin America. This non-profit organization recognizes individuals and civic organizations that have demonstrated outstanding efforts to combat poverty, inequality, and discrimination in Latin America and the Caribbean with awards and grants that help further their causes. The awards are financed, in their entirety, by Fundación Vidanta. 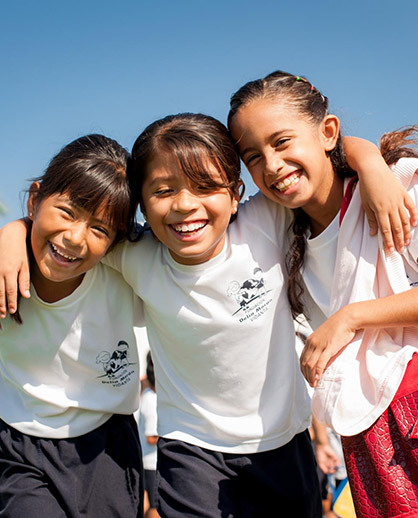 Founded in 2013 with the support of the government of Nayarit, the Fundación Delia Moran helps promote learning and child development in the Vallarta region. By supplementing formal education with different types of activities, the non-profit foundation helps children discover and develop their true potential in a fun and creative way. Complete with an onsite clinic and cafeteria, Fundación Delia Moran offers a daily curriculum with athletics, drama, dance and educational activities to over 150 children.